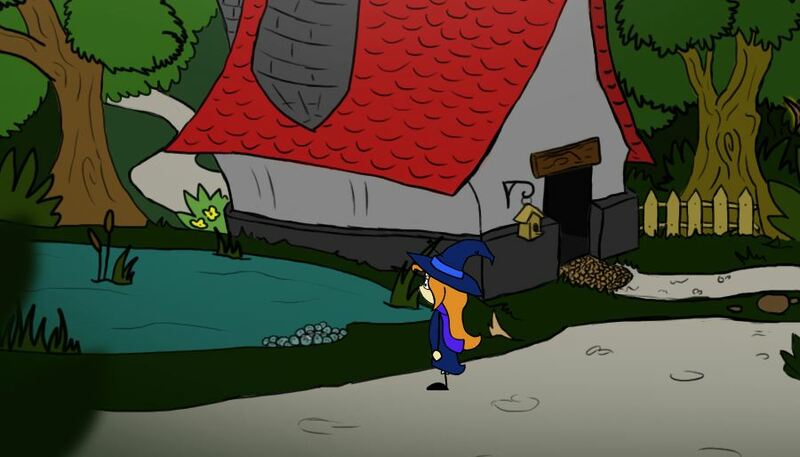 ‘Witchy Woo’ Release: What’s a Witch To Do Without a Familiar? Ain’t easy being a witch, let me tell ya. Especially if your name is Woo and you aren’t very good at it! In fact, this one is so bad that she’s not even allowed her own familiar! So what’s a witch-in-the-making to do? Take matters into her own hands and create one of course. Get ready for a magical adventure full of witchcraft and craziness. Ah, magic. Gotta love it. I do think Woo might be a bit crazy for wanting to create a familiar, instead of simply striving towards improving her skills as a witch, and getting one the normal way. It does make for an interesting plot though, and it’s safe to assume that Woo’s plan will backfire at least once, with great comical effect to boot. I mean, the premise doesn’t exactly scream seriousness, and this is definitely good since, well, magic and comedy makes for quite a potent mixture. You won’t get far without knowing how to move poor Woo around though, and fortunately this part of the game has been properly streamlined: left click to interact with/pick up items, right-click to look at something, pressing I opens your inventory while Esc pops up a fancy menu. Who needs that bulky interface found in Lucasarts classics anyway? Oh and get this: normal people carry items in their pockets, right? Not Woo… she uses her hat, of all places! Then again, she’s a witch, so logic would dictate that it’s magical and has vast amounts of space. But still, a hat? 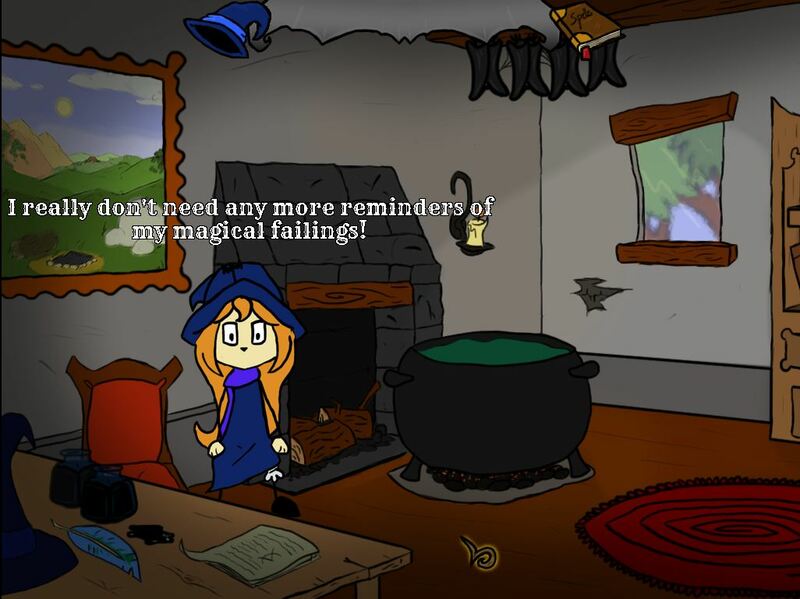 So with a spell here, a potion there and a lovely hand-drawn art style tying it all together, what’s not to like? Witchy Woo was created by Dropped Monocle Games for the June 2013 MAGS competition and can be downloaded from the AGS website. Have fun messing around with witchcraft and wizardry!